At a time when there’s so much incertainty in the US political climate, a film like ‘The Post’ arrives to remind us all of the importance of whistle-blowers. Directed by Steven Spielberg, it follows the important decisions that a group of journalists had to make when they received the Pentagon Papers. 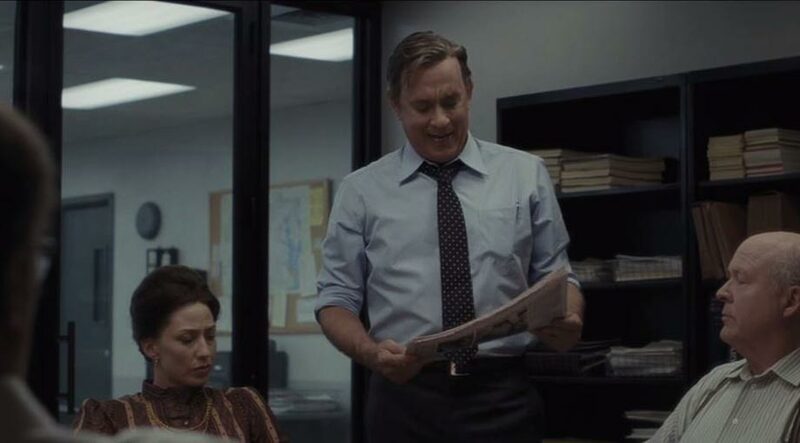 Editor Ben Bradlee (Tom Hanks) and the Post’s first ever female publisher Kay Graham (Meryl Streep) are hellbent on obtaining the documents known as the Pentagon Papers so they can ultimately expose the government for the liars that they are. However, things take a dangerous turn when they release their own series of articles just weeks after The New York Times is forced to cease its own coverage of the scandal. Faced with the prospect of a long spell in jail, Ben and Kay must make a momentous decision; continue their path of righteousness for the sake of future of the White House and, indeed, the nation’s citizens, or remain silent and leave their country in charge of dishonest war criminals. ‘The Post’ has been directed and co-produced by Steven Spielberg with a screenplay by Liz Hannah and Josh Singer. It marks the fifth film collaboration between Spielberg and Tom Hanks – after 1998’s ‘Saving Private Ryan’, 2002’s ‘Catch Me If You Can’, 2004’s ‘The Terminal’ and 2015’s ‘Bridge of Spies’ – which makes him the actor that Spielberg has directed most times. The film has already won three National Board of Review Awards for Best Film, Best Actor and Best Actress, and was also nominated at the Women’s Image Network Awards. ‘The Post’ will receive a limited release in the US on December 22nd 2017, before its worldwide release on January 12th 2018.